If your aim is to learn about spray polyurethane foam insulation, you're on the right page. Before going forward with a spray foam application on either a commercial or residential building, it is important to establish whether you will utilize .05 lb./cu. 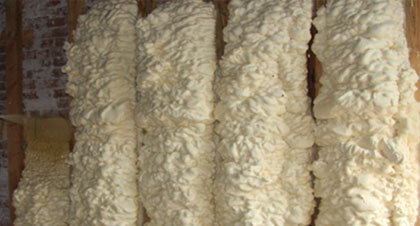 ft., open-cell foam or 2.0 lb./cu. ft. closed-cell foam. When factoring performance, method of application, and price, the differences between the two are significant. Closed-Cell Spray Foam Insulation can serve as a five-in-one application by providing exterior insulation, an air barrier, a vapor retarder, a drain plane, and a water-resistive barrier in a single application. Open-Cell Spray Foam Insulation is intended as cavity insulation inside exterior and interior walls, and for use in attics and crawlspaces. 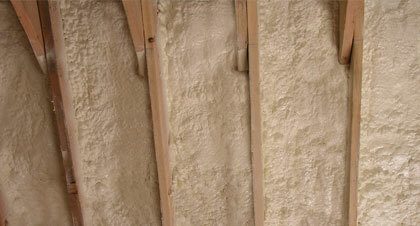 What can spray foam do for your Sioux Falls home or building?